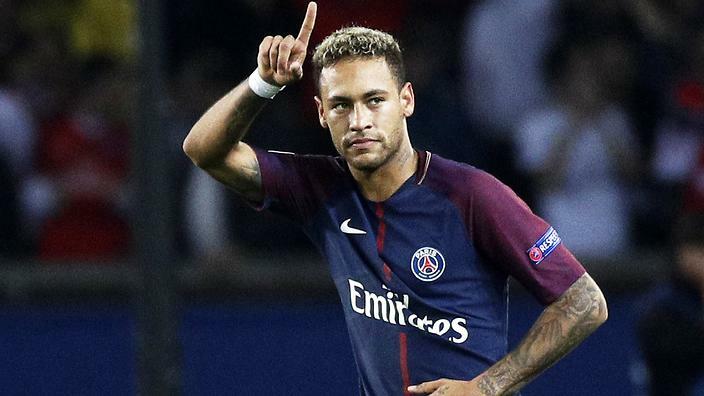 Paris Saint-Germain’s Neymar has claimed that referee Bjorn Kuipers said something to him that he should not have during Tuesday’s 1-1 Champions League Group C draw with Napoli. Juan Bernat’s first-half strike was cancelled out by Lorenzo Insigne’s second-half penalty and the Brazil international was subjected to rough treatment from the hosts. PSG coach Thomas Tuchel was disappointed that Napoli were granted a point and that Bernat should have been awarded a second-half penalty. “I have seen the images and there was an offside in the build-up to Napoli’s goal and we should have had a penalty for the foul on Juan,” Al-Khelaifi said. Defender Thilo Kehrer did not want to blame everything on Kuipers but did admit that he felt that decisions went against PSG. “It is difficult to say whether or not the referee changed the course of the match,” Kehrer said. Meanwhile, captain Thiago Silva has claimed responsibility his role in Napoli’s second-half equaliser and was unsurprised that Kuipers was involved in controversy again after sending Zlatan Ibrahimovic off a few years ago. “I made a technical mistake,” the Brazilian said. “I wanted to keep hold of the ball, but things did not happen as I imagined in my head. I do not know if it was me or Gigi with the foul. In any case, it was an error on my part. I am always motivated by my desire to do the best for my team. However, we must continue, I must continue, and keep my head up.